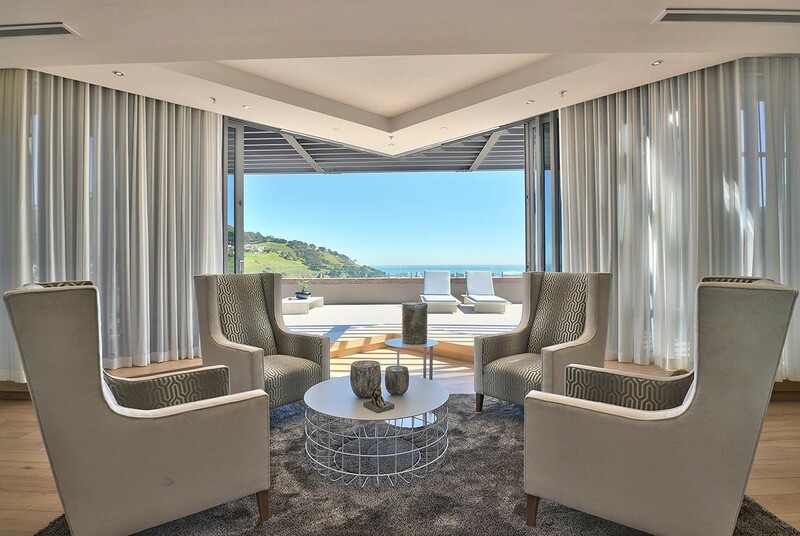 Positioned high up on the top floor of an architectural masterpiece and comparable with the finest in the world, ultimate luxury and privacy await with this opulent three bedroom penthouse. Open-plan design and superior finishes welcome you with spacious lounge, dining, bar and kitchen areas connecting to form the impressive central living space. A large sun-drenched terrace opens through stackable sliding doors to reveal panoramic views of colourful Bo-Kaap and stretch all the way across to Robben Island. Enjoying uninterrupted views of Table Mountain and Lion's Head from its own private terrace, the master bedroom is complemented by a separate bath and vanity area, shower and toilet. The second and third bedroom, both en-suite, offer picturesque views of Cape Town harbour. With three secure basement parking bays plus a storeroom included, residents also have complimentary use of the swimming pool and gym of the hotel which forms part of the building. Apart from an attractive 30% Urban Development Zone (UDZ) tax benefit, the property is sold Vat inclusive, hence no transfer fees payable.